If you look back in history we have always had systems for how we count time. Days turn to weeks, weeks to months and month to years. When it comes to my Etrakien world I started to think about how they divide the year. An easy way, that many use, is to just convert our calendar to your fantasy setting. Twelve months made up of approximately four weeks. But I felt I wanted something else, I wanted a system that kind of felt unique for the world, a system that also had some logical connection with the metaphysical universe of the Etrakien world. After some thinking I decided on the following. The Etrakien universe consists of seven worlds, once created by seven gods called Archonts. These worlds where just bleak copies of the original world, created by the original God. So the numbers seven and eight are very magical for the Etrakien world. 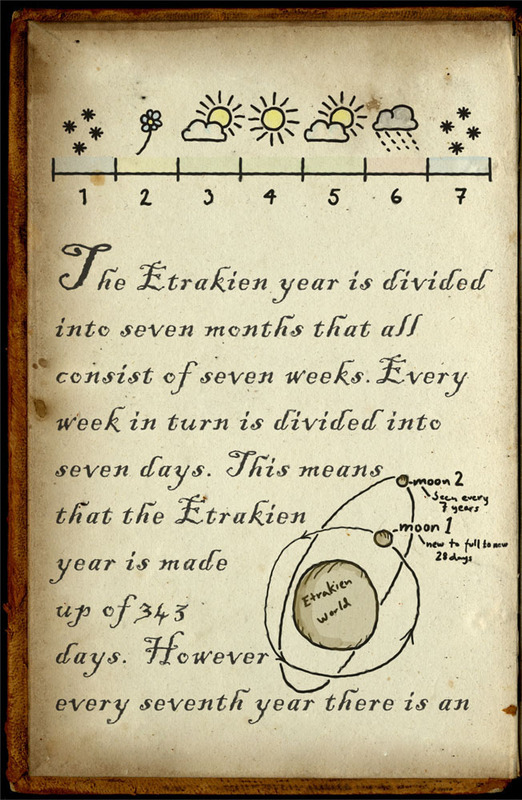 Because of this I decided that an Etrakien year consists of seven months that all have seven weeks. Every week has seven days which makes the total number of days per year to 343. But every seventh year there is an extra week of seven days called the eighth year. Those eight years will together build up what is called a cycle. So when you ask a person in Etrakien what exact day it is he will answer something like this, – It is the fourth day of the third week in the fifth year of the 28th cycle. When I was thinking of the calendar I also thought about the moon. The moon has always been important and we generally have had a good knowledge of the moons cycle. How many days it is between the full moons and so on. In the Etrakien world there are actually two moons. One moon has a cycle of 28 days between its full moons, the second one can only be seen during the eighth year, and is regarded as a very strong foreteller of how the next cycle of eight years will turn out. When you make maps for a made up world you reach a point where you actually have to start to think about the world beyond the maps. What kind of world is it that you’re creating? I’ve worked on my Etrakien world for about ten years, it’s been through a lot of different phases, things have been added and things have been thrown out. In the beginning it was more of a classic fantasy world with forests full of Trolls and Dwarves hiding under the mountains. But through the years the world has slowly changed in to what it is today. The problem however is that I’m not really sure of what exactly the world is like today. A lot of my ideas and thoughts has been written done in different forms over the years. Some things I have on paper, some in different threads on forums where I’ve put up my maps for display, a couple of documents are on Google drive, still some on my hard drive. Some I’ve actually lost due to a hard drive crash some years ago. So I felt that all this information had to be collected into one document, a world document for the Etrakien world where all the up to date information could be found. But how do you do this in the best way? What do you have to think of to make your world as believable as possible? Because I want my world to feel real, that if you read about it or play a game in it, it should feel plausible, like it could exist. For a long time I’ve looked all over the Internet for information about world building, how do others do this? So far the best thing I’ve found has actually been the Kobold Guide to Worldbuilding, a brilliant little document where different authors from the RPG gaming industry gives their view on how you create your own world. This little gem gave me some great ideas on what to think of while writing about my Etrakien world. It covers some good essays on world design, creating religion, magic, technology etc. Everything you need to be set up for a great start. Of course I also have some ideas of my own, but this guide has really helped me to put my ideas together. So I decided to start with a blank document titled “The Etrakien world”, or to be more precise “Den Etrakiska världen”, because I’m writing it in Swedish, and in that document collect all the information I have that I want to keep together with new things I come up with. First of all I tried to think of what is different with the Etrakien world compared with our world. 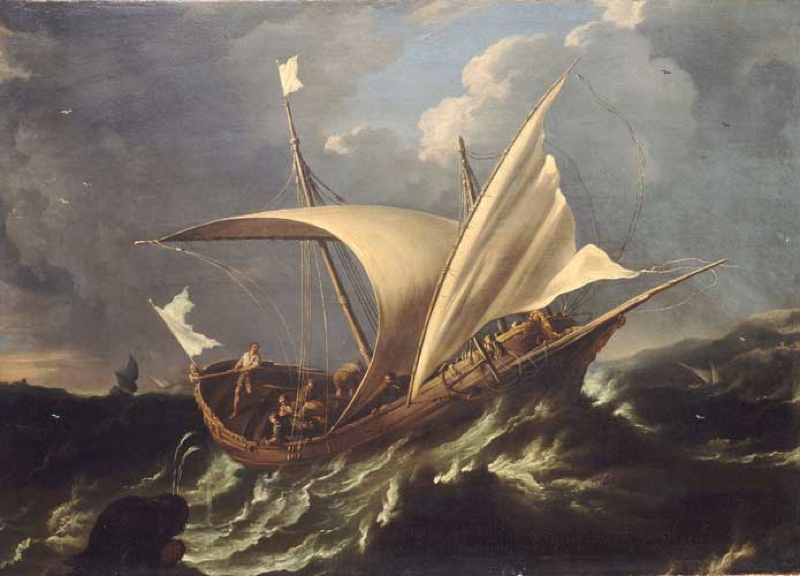 A lot of things are alike, after all the world is based on my knowledge of the classic Rome and Greece, mixed up with some influences from the Hansa and medieval Europe. It includes mainly humans, like us and they like to wage war, make love, be rich and just survive for another day. So what is different and how would that affect the world? First of all there are two other known humanoid races, one that mostly is seen as a slave by the others and the other is more equal to the humans, or in their own eyes superior. How will a world that has enslaved nearly everyone of a humanoid race develop ideologically? Will it become like Germany during Second World War that divided people in “Untermenschen” and “Übermenschen”? Does everyone in the world think that is ok? There is also magic in the Etrakien world, or mostly there is magic that is wielded by the priests and clerics of the different religions. How will a world where the priests actually can perform miracles through powers they have been given by their gods look? In medieval times the church had the European population in a tight grip without being able to perform any real miracles. What will happen if some priests really can bring people back from the dead or heal wounds etc. What kind of power will they have in the world? And what happens if someone that’s not a priest learns magic? Will they be persecuted like the witches in our own history, that didn’t even know how to do real magic? As you can see the questions are many, but I feel I have to get them down on paper. 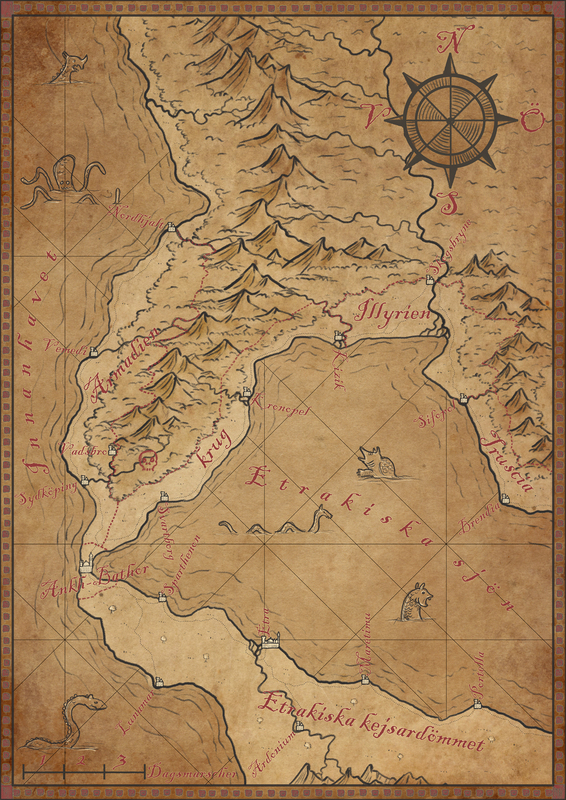 As I’ve said before, if you have a story to your map it will be much easier to get a great result that looks believing, because then your map will tell a story and not just be a flat picture of land, sea and mountains. And by writing my World Bible, as Scott Hungerford calls it in his essay in the Kobold Guide to Worldbuilding, I hope that I can achieve that. Maps that tells a story.